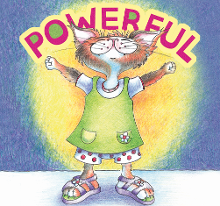 Welcome to the Powerful website and thank you for implementing Powerful in your classroom! These pages are for you; may they help you take the children in your class and school from strength to strength. Below you'll find the rational behind Powerful, the story and the song; how to create a Powerful classroom and school; ideas for Powerful activities and more on implementing Powerful into the syllabus. 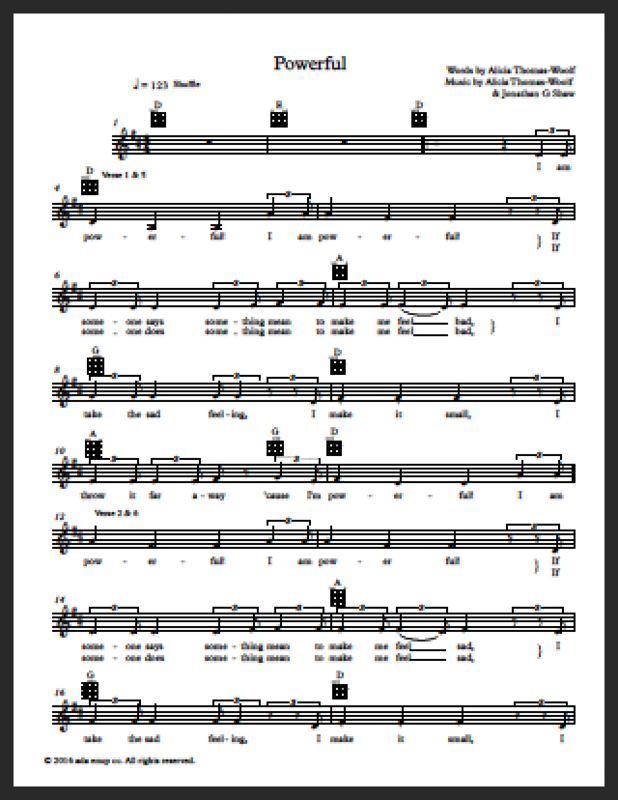 You can also download the information in PDF format, a Powerful certificate, the Powerful song lyrics and the Powerful song sheet from this page. Keep reading for more. SEE HOW KIDS TOWN MONTESSORI, A POWERFUL CERTIFIED SCHOOL, UNLEASHES THEIR STUDENT'S SUPERPOWERS! Book a talk! Alicia Thomas-Woolf can come to your school. It is rare to find a school that has preventative measures for bullying; the majority of schools have only punitive measures, and those generally when it is far too late for the victim. If punishing or just talking to children who bully worked, schools worldwide would not have the bullying problems we see today. 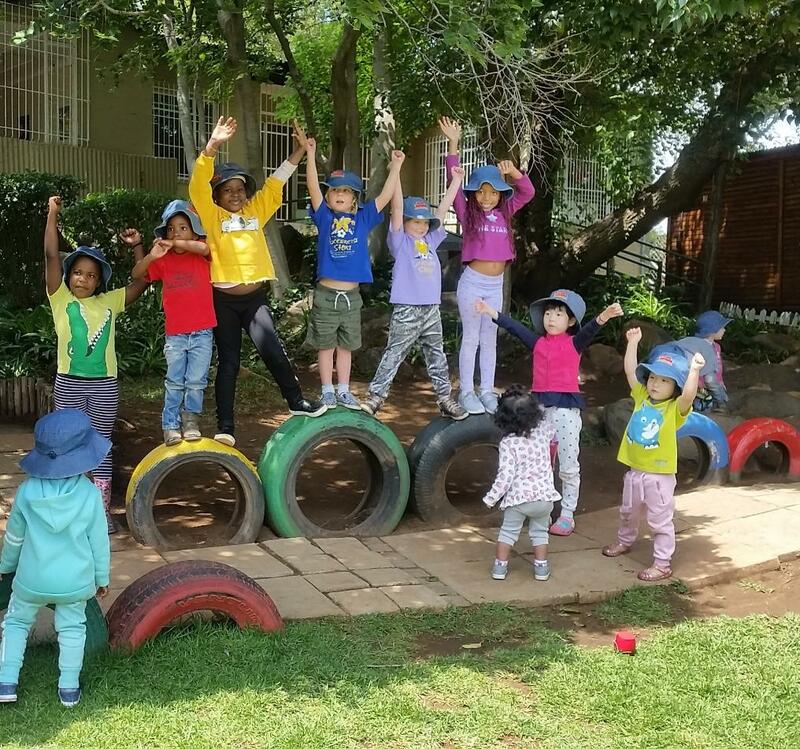 Further, there is almost nothing in place for pre-schoolers, yet it is in nursery schools and playgrounds that bullying begins. Powerful aims to change this scenario, by focusing on and empowering both the children experiencing the bullying and the children who, at the moment, are exhibiting bullying behaviour. Powerful prevents and diffuses situations in which someone/s have said or done something intentionally mean. Remember that teasing is not bullying; however, Powerful can be used to diffuse hurt feelings too. As a preventative measure, to stop bullying before it starts. Many potential bullies would take another path if they felt powerful. There would be no need for them to bully. To give children as young as three the power to dissipate the emotional effects of bullying; the knowledge of how to deal with bad, sad, scared or mad emotions that arise when being bullied. To build confidence within all children. The person going through the pain is the person who needs to learn how to cope powerfully and intelligently handle his or her own feelings about the situation. Even three year olds are big enough, and can have enough agency, to handle themselves–provided they have the tools. The question of the day is, HOW do you teach kids to be powerful? After all, you can tell someone to 'just ignore' nastiness, but it doesn't seem to work. Saying things like 'You should be confident' or 'You shouldn't be shy/nervous/afraid' does not have the desired effect either. Just talking to someone is not enough. They have to own being confident or powerful. But how? The secret is that children, like adults, need emotional tools. That is what the story and the song provide. The story provides the context. It's a dissociated (therefore safe) space, where something is happening to someone else, who becomes powerful. If Kitty can do it, so can the reader. Kitty is told by her mother exactly what to do (the how): "Take the bad feelings out of your body, make them small, throw them far away, because you're powerful". Children usually have no idea that they can use their imagination can do this; and imagination is a potent tool indeed. This is actually a short Neuro-linguistic (NLP) process designed specifically for the short attention spans that children have. And the process embeds the ability to do this because it tells the children that they are innately powerful. They can throw their bad feelings away because they are powerful. In fact, the children are told that everyone has a superpower inside them. How do they unleash their superpower? With the Powerful song. The song continues to repetitively embed the NLP process with words and actions. Learning the process is easy with the song, because the music is repetitive (like all nursery songs), the tune is catchy, and the words in the lyrics are easy to remember - they change only very slightly in each verse. There are eight verses. The first four deal with if someone says something that makes you feel bad /sad /scared / or mad; and the last four deal with if someone does something that makes you feel bad /sad /scared / or mad. That covers all bases. The actions are critical to the efficacy of Powerful. 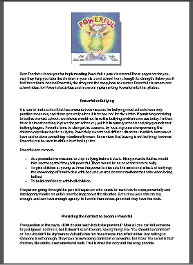 They reinforce the imagination needed for the NLP process to be embedded, while the power poses actually raise and lower different chemicals in the brain (see below). In each verse, do the actions that accompany the NLP process: take the bad feelings out of your body, hold your arms far from your body and make the feelings small with your hands, then throw the feelings far away. When the children are not acting out the process, they are holding power poses. The power poses are potent in themselves–holding a pose for more than two minutes will (according to Amy Cuddy of Harvard Business School) raise your testosterone levels and lower your cortisol levels, resulting in you feeling more confident. 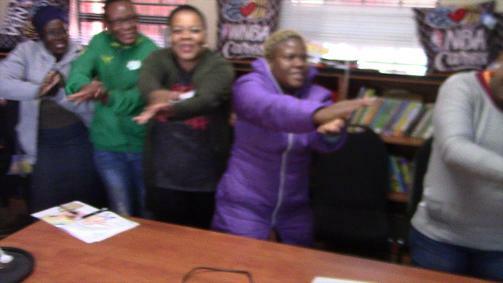 That's the other part of what's happening when the children sing and dance to the song. The Powerful song is, not coincidentally, over two minutes long. The song has two power poses: chest open, arms in the air; and chest open, fists on hips, like Wonder Woman or Superman. The best way to understand what the children are going to experience is to experience it yourself. Get together with fellow teachers and staff. Take turns leading the process, the NLP process in the book and song: pull up the memory of something small that upset you, separate the feelings from the picture, imagine taking them out of your body, and keep throwing them away until you have the memory of the incident, yet no emotion about the memory one way or the other. This neutrality will free you to think of other things. Hold the power poses for two minutes and experience the state change. If you do this with the song, those two minutes will pass quickly! How can I create a powerful classroom? 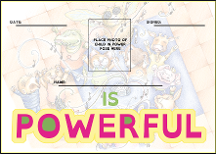 Ensure that all classrooms have a copy of Powerful and give each child a chance to take it home. Once the children are familiar with the book, make the space of your classroom itself a powerful place to be. 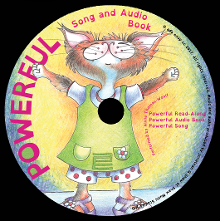 After reading and singing and dancing Powerful, ask the children to create a Powerful room. Ask the children to put positive actions and emotions into the room, so that they build it themselves. Teacher: "Sienna, what do you think we should build the Powerful classroom with?" Teacher: "What colour is kindness?" Teacher: "Okay, go build our Powerful room with kindness!" Once every child has had a chance to 'build', whenever they walk into the room, they should feel the Powerful atmosphere they have created. You can do this every term. You can blossom a Powerful tree throughout the year. Paint a large trunk with bare branches on a wall. Take a class photo by the bare wall. Thereafter, whenever a child does something kind, or is noticeably gentle, or shares, or anything positive that helps others, write it on a flower-shaped, coloured piece of paper. Make a little ceremony by reading it out to the whole class. Then stick it on the tree. By the end of the year, you should have a tree crowded with blossoms. Take a class photo by the blossoming wall, telling the kids how powerful they are that together they created such a beautiful tree. Send both photos to each child. 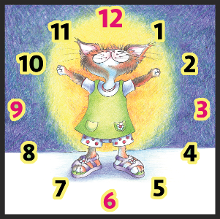 Hang the Powerful clock on a wall for a visual reminder as well as incidental learning. Here are some ideas as to how you can implement Powerful into your syllabus. Be as creative as you like–you know your school and what will work in it best. First things first–on the first day of school, read the book to your class and sing and dance the Powerful song with them! Do this early in the morning, because it will leave the kids fizzing with excitement. Remind them that a really Powerful person uses their superpower to be kind, to be gentle and to share. Read it again the next week, just in case someone new has come (reread the story whenever someone new enters the class). Monitor the emotional environment for how often to read book. The Powerful book can be personalised (notice the two blank spaces in the first few pages). Initially, read the book as is. Gradually start adapting the story to things happening in school; you will notice issues that crop up and the children will tell you about things that may worry them. Every morning, the class can choose superpower of the day: pick an action that is part of being Powerful, such as being kind, sharing, complimenting, helping etc. In discussion time, discuss aspects of the book. One aspect is that all the charactersare so different from each other. How many different kinds are there? What makes one different from one another? What can each do that the others can't? Make parallels between the book and life; for example, Teacher Tortoise is the play ground teacher. Who would have thought a tortoise would be a good person for that role? Yet she can get around quickly because she wears roller-skates to help her. What could the children in the class do if they had the right kind of help (hearing aids / glasses / etc.)? How much more powerful could they be? What more could they do? Even as a teacher, what aids would help you be much more effective? In discussion time, you can also talk about real life situations that are negative and discuss how to use Powerful to be able to deal with the emotions surrounding them. At story time, after a new book, discuss how the protagonist could have felt better with Powerful. 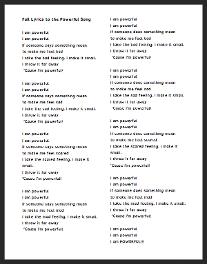 Ask the children where and when they have used powerful. At home time, bring the class together in a circle before and get every body to tell another person that they are powerful. Play the Powerful song, singing and dancing the actions, at least once a week. Do it at the same time, like the start of the week or just before the weekend. Remind children as they leave the classroom for the weekend that they are powerful. Involve the parents! Explain to them about Powerful and send them to the website to learn how to implement Powerful at home. Ask children what they did on holidays or weekends that was powerful. Encourage older children to become 'teachers' of Powerful so that they can help younger children. Children as young as ten or eleven can feel proud to help with the youngsters and, by teaching it, become Powerful themselves. At the end of the year, or any auspicious time, give each child a Powerful certificate. Act out the Powerful book in a school play. We would like this list to grow, so please write to us and tell us what you are doing in your classroom and what has worked for you. We would love to know the difference that Powerful is making at your school too. Do e-mail us and tell us! Lastly, remember that the author can be available for talks in your school. There are talks for pre-schoolers, primary school, parents teachers and therapists. We look forward to hearing from you!